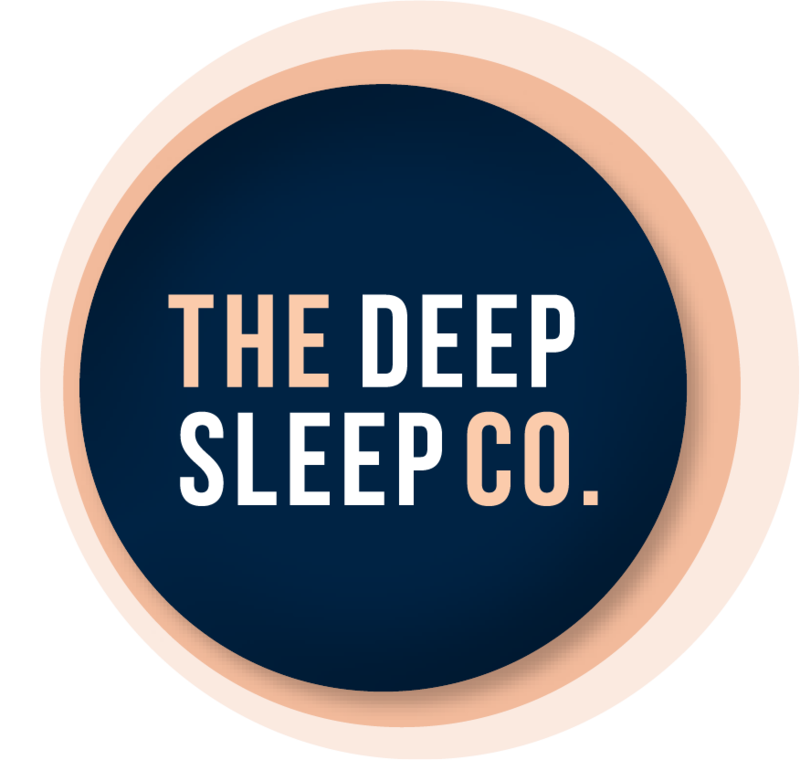 How to make your bedroom a sleep sanctuary | The Deep Sleep Co. Your bedroom should be a retreat. A space to take you away from the hustle and bustle of regular life and into a deep slumber. There aren’t many elements to decor in the bedroom, which is why every choice has the potential to throw off your balanced design. 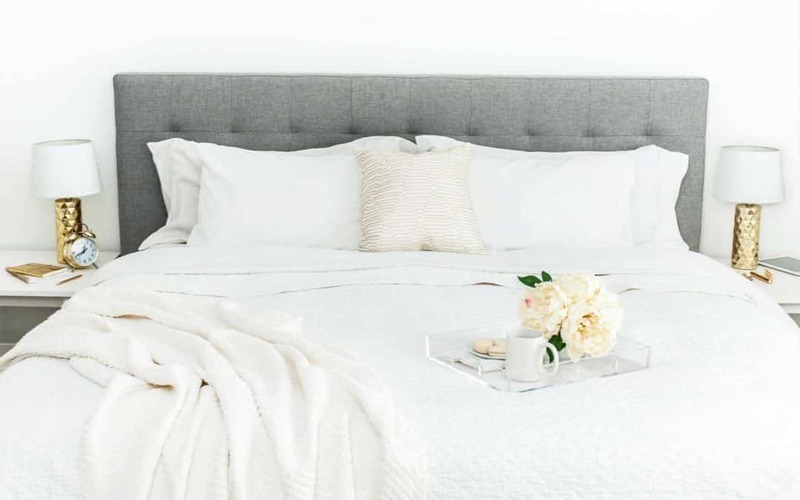 Here are our top tips for transforming your bedroom into a peaceful sleep sanctuary. What wall colour is most restful? When it comes to walls, most people stick within the safe confines of beige and neutral tones. But, according to British Travelodge research, there are other colours that are more effective at promoting sleep. The results might surprise you! With an average of 7 hours 52 minutes of sleep per night, the top spot goes to the colour blue. Blue is believed to be calming and lowers your heart rate and blood pressure. The second best choice may come as a shock; it’s yellow. Researchers said it creates a warm and cosy atmosphere. In third place was green, fourth silver and fifth orange. Blue, green and yellow’s association with nature (i.e. water, plants and sunshine) may be why they create a calming environment. On the bottom of the scale was purple, with a measly average of 5 hours and 56 minutes sleep. Also, near the the bottom of the list were brown and grey. While purple was believed to be overstimulating, brown and grey can make us feel depressed. Colour is definitely your friend in the bedroom. You just have to know which ones to pick. Minimal, monochrome, soft and luxe, feminine, opulent – what is the overall vibe you want your bedroom to portray? Decide on your theme before you begin decorating and stick with it. Bedroom decor that competes with itself looks cluttered which wreaks havoc on the brain. It creates excess stimuli which prevents proper relaxation, and can make people feel out of order and anxious. By cultivating a uniform theme in your bedroom, you’ll be preventing clutter and disorganised decor from bombarding your brain. Looking around the room you should feel calm and relaxed, rather than overwhelmed by competing elements. Curtains are much more than decorative window coverings. Quality, thick curtains help to hold in warmth and block out light. If your sleep routine is out of sync with the sun, (such as shift workers) then light blocking curtains are a must. They’ll help you to get some much-needed shut eye at unusual hours of the day. 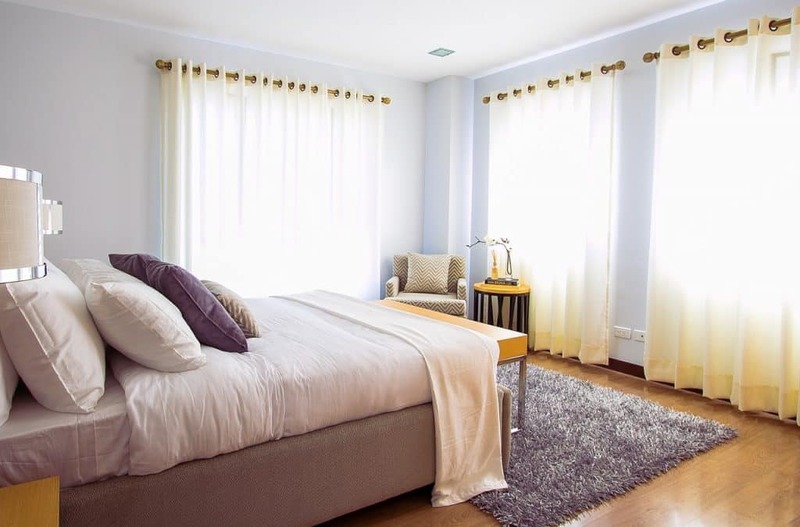 On the other hand, if you prefer to allow some natural light into your room each morning so it can gently wake you, then shutters or roller blinds will offer a half open solution. The nightstand (or bedside table) is your best friend when it comes to winding down for bed. It’s a place to leave a glass of water, house your books, moisturiser, sleep balm, alarm clock and anything else that helps you complete your nighttime routine. Assuming any old table will do is setting yourself up for trouble. 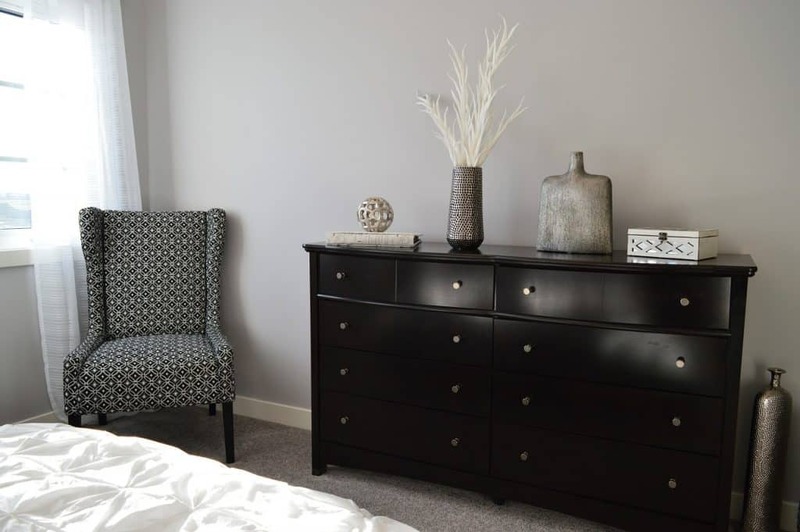 A proper bedside table will have drawers or shelves to keep your permanent items organised but still within reach. The tabletop should hold the bare minimum (e.g. water, a book and lamp) to avoid creating clutter, as discussed earlier. Bigger is not always better when it comes to bed frames. The right sized bed frame should give you ample space to walk around your bed and not into any other furniture in the room. If you have to press it against a wall just to fit the dresser in the room then it’s time for a new design. The best strategy is making sure everything will fit comfortably before purchasing. Lay out some electrical tape around the room in the measurements of your proposed furniture, and see what sort of gaps it leaves you to walk around, and to clean. A dusty bedroom is an unpleasant and unhealthy one. 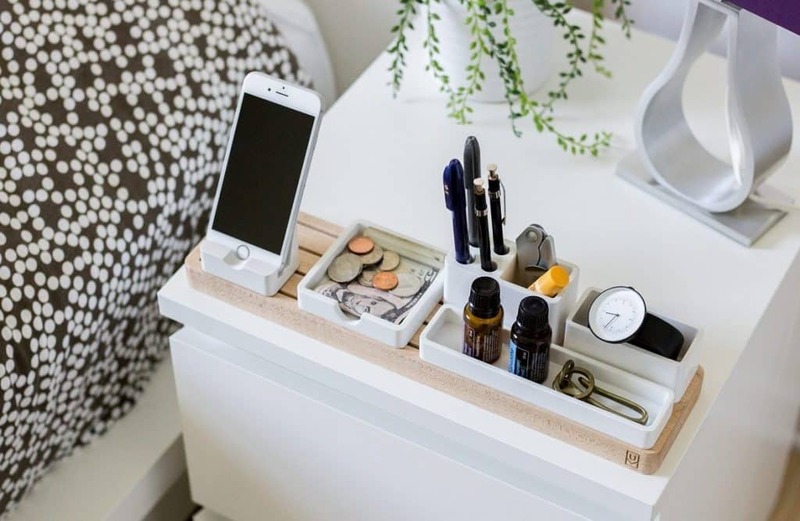 Whether you’re dealing with a small space or you’d like to make the most of every piece of furniture, multipurpose decor items is where it’s at. Consider a storage ottoman at the end of your bed that doubles as a seat for putting on shoes. Or a gas lift bed with extra space beneath your mattress. Both of these solutions are perfect for housing extra blankets, pillows and throws during the warmer months without taking up unnecessary space. Vacuum storage bags are another great solution for storing bedding. Your bedroom should make you feel like sleeping; not finishing off that one last task. If space permits, there should not be a desk in the bedroom. Most importantly, don’t use your phone / tablet in bed just before sleep. The blue light from the screens suppresses melatonin (the sleep / wake hormone) production and makes it hard to get to sleep. Charge your phone away from your bed for your sleep health, and also for safety. Also, make sure it is face down or put on a ‘do not disturb’ function overnight. The key to a stunning bedroom is keeping it simple. Make sure every element of decor has a purpose in the room and save the flashy artworks or candle holders for another room. A truly restful bedroom is one that that makes you feel calm and at ease. Julia is a Melbourne-based lifestyle blogger who currently publishes weekly content over on the MyDeal.com.au blog. 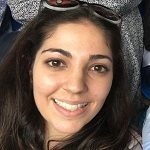 She can also be found guest posting on great websites and loves to write about all things life, decor and health.